We always love working at Quex and this was no exception. 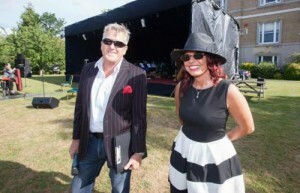 A fabulous afternoon and evening in the gardens of Quex as master of ceremonies for the Quex proms! For The Summer Prom in Quex Gardens in July 2015 we were delighted to have Nicky and Jonathan Curran act as our ‘Toastmasters’. With their customary flair, enthusiasm, humour and sheer professionalism they helped to make sure that the return of this important event to Quex Park was a huge success. They are always a joy to work with and we would not hesitate to recommend them to you for your event. 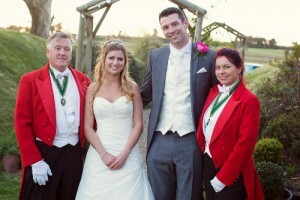 Lympne Castle was a the beautiful venue for this lovely couple. This was one bride who never stopped smiling. 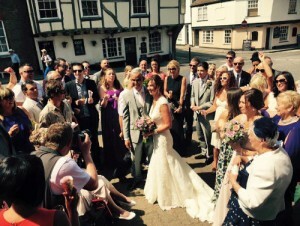 It was an honour to be toastmasters for Debbie & Roger at the Bell Inn, Sandwich. A very intimate wedding with close family and friends. Thank you so much for making our wedding day run so smoothly. From the moment you both arrived to the minute you left everything run like clockwork. It was such a relief not only to us but to our close family members that you managed the guest and the timetable perfectly. We can not thank you enough for what you did. You made our day perfect. 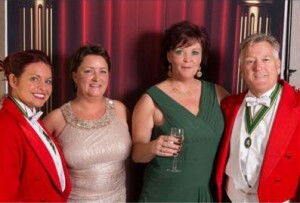 We were honoured to be Master of Ceremonies for Kent's First Health & Beauty Awards at the Great Danes, Mercure, Maidstone. Your Toastmasters added a touch of finesse to our awards ceremony. Just a short note to thank you both most sincerely for all your hard work last evening. Your presence not only aided us in making it a very successful event it enhanced the occasion. Thank you both for a job very well done. The sun shone for this beautiful couple. Stacey & Stuart had an awesome wedding day at their local church before walking to their family barn for their reception. This was a very special day for all involved. It was a pleasure to be toastmasters for Ali and Pat. A beautiful church, a quaint barn and a stunning horse drawn carriage. This wedding was filled with lots of love and laughter. 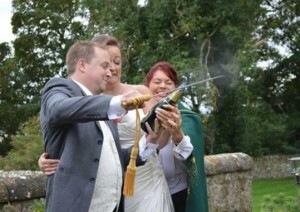 Pat Sykes added on fb: - Agreed thanks guys you were brilliant helped make our day just perfect. Thanks again for all your help on our wedding day . 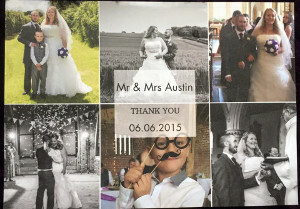 Having you there really helped us to relax and enjoy every minute of our special day . I've attached a photo of you both joining in on the marryoke. 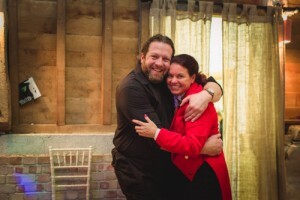 Having met Dominic 3 years ago as a wedding coordinator at Whitstable Castle and now running his own successful events business, A Kentish wedding, we have always been keen supporters of his wedding fairs and events. 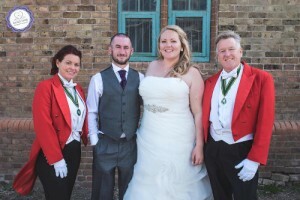 Jonathan and Nikki have provided meet and greet services for A Kentish Wedding exhibitions over the past 2 years and are an integral part of the shows success. 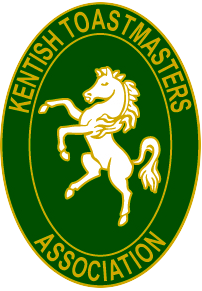 Knowledgeable, friendly and helpful, the toastmasters ensure the smooth running of the event by assisting patrons throughout the event whether that be with directions for the show or answering queries about the event. 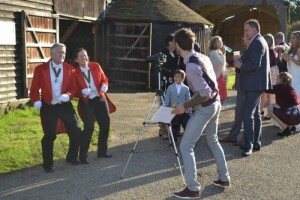 I would highly recommend Your Toastmasters for any wedding event. When holding a 007 night we wanted to ensure a warm welcome for our guests and booked Jonathan and Nikki from Your Toastmasters. 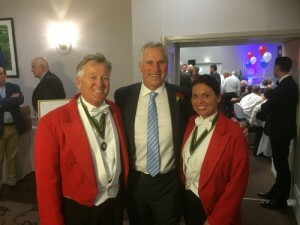 They did a magnificent job, particularly on a cold evening, in keeping the spirits of the guests high as they posed for photos and acted as a point of contact for guests throughout the evening. 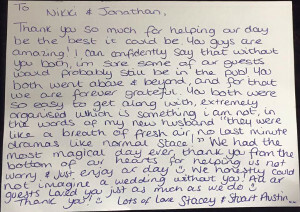 Jonathan and Nikki's customer interactions help take the stress out of events allowing organisers to concentrate on any behind the scene issues. Thanks guys. Lou and Steve's caterers Flying Hog Roast provided an excellent array of food . Their bourbon pulled pork was especially good!